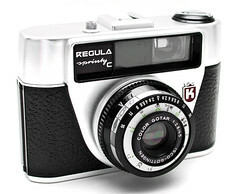 The Regula Sprinty was a long-running series of 35mm cameras made by King KG starting in 1963 and sold through the 1960's and 1970's as part of their Regula range. Sprintys were also sold as Prinz Pilot II, Prinz Pilot E (by Dixons), Kalimar A, and Pacemaker (by Boots). 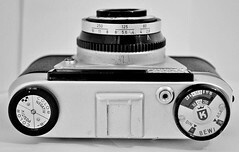 There are several versions of the Sprinty camera, each one usually improving or updating the camera in some way over the previous version, but even then they are all very similar in looks and basic design. There is an early version of the Sprinty and with it being the first is also the most basic of the entire Sprinty range. 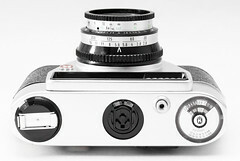 A central mounted viewfinder that has no view lines in it. 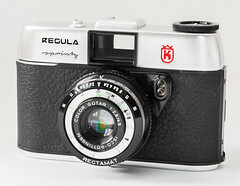 The model name and king logo stamped into the metal top section. It also doesn't have the front metal section around the lens like all later Sprintys, only a small plastic bit with the PC sync contacts for flash/bulb. 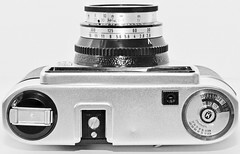 This model is basically a later model Sprinty with an uncoupled selenium light meter (made by Bewi) built into the camera. 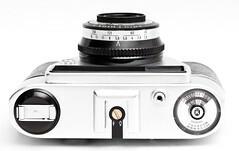 The Sprinty C is the first larger update to the styling of the camera. 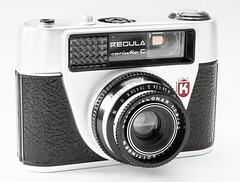 This camera is basically a Sprinty C with an uncoupled light meter. 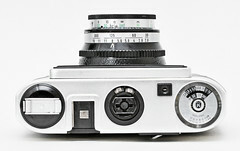 The light meter is more integrated into the body of the camera giving a sleeker look over the one used on the Sprinty B. 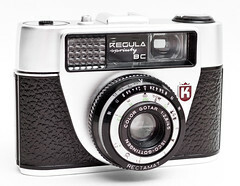 Now in the 1970's the camera has been slightly redesigned again. 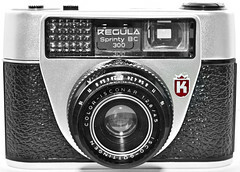 This is a Sprinty C in essence with a few tweaks to the design. The somewhat flimsy and hard to read focus ring has been made bigger and easier to turn, the distance reading now more easily visible when peaking over the top of the camera. The metal shutter button is now a plastic square, but still has a thread for a cable release. 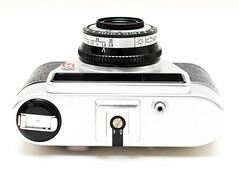 The hot shoe is now recessed into the camera body giving a much cleaner look to the top of the camera. 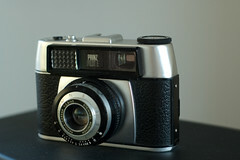 This camera is basically a Sprinty C 300 with an uncoupled light meter. 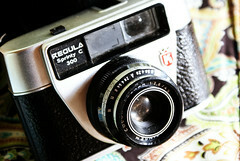 The light meter is the same type used on the Sprinty BC. 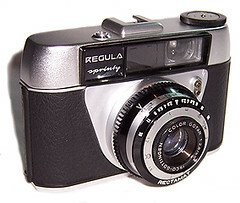 The camera is basically the same as a Sprinty BC 300, the only addition being a socket for flashcubes, and battery compartment (6V mercury) to power them. 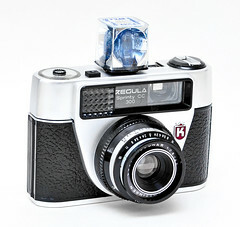 The flashcubes are turned into their next position by advancing the film. 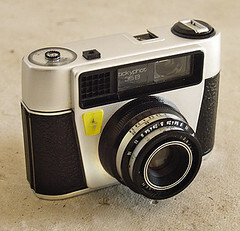 The camera is basically a Sprinty CC 300 but with the hot shoe removed leaving only the flash cube socket on top, it retains the metal shutter release though. 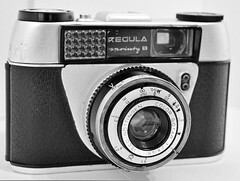 The camera is the same as the Sprinty BC 300 but has a self timer lever and a selenium meter coupled to the exposure system. 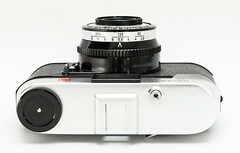 The metering is done with the dial on the top of the camera. This page was last edited on 7 April 2018, at 06:33.